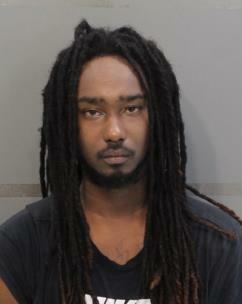 Police have arrested Dewayne Dominique "Ooda" Smith for a shooting on Fagan Street and a burglary in St. Elmo. Smith, 23, of 1708 Mitchell Ave., is charged with reckless endangerment in the shooting and aggravated burglary and theft of property in the burglary. In the shooting incident three days before Christmas, a former girlfriend of Smith said he showed up at her residence on Fagan Street and wanted to walk and talk with her. She said she told him, "I've got another boyfriend." The woman said that angered Smith and he fired two shots at one of her friend's house. Police said they did not find any damage to the house, but did locate two shells casings where the witness said he was standing. In the burglary on Friday, a couple on W. 54th Street said two black males took some $2,600 in items from their residence. The suspects were in a brown Ford. A woman at the house said she spoke to one of the men around the time of the burglary. Police stopped the brown Ford in the 200 block of Market Street. They found a television and two fire sticks that had been taken from the W. 54th Street house. The woman was shown a photo of Smith and identified him as the one she had spoken with at her house.